The opportunity to intern at Westpac Institutional Bank in New York was just one of many opportunities for Bachelor of Business alumnus Lucian Simmons. “During my internship in New York, I worked primarily with Westpac’s Corporate and Institutional Banking team. My work included preparing financial models for corporate and portfolio analysis and forecasting, conducting industry and credit analysis to support relationship managers and product specialists, and other ad-hoc tasks. “New York is such an amazing city! Even after nearly five months there I’ve only just scratched the surface, but it has become my favourite city in the world,” says Lucian who received the internship through the AUT Internz International Scholarship Programme, which enables AUT graduates to immerse themselves in a new market and culture. For Lucian, the workplace experience was another highpoint of his degree. “I completed my final-year workplace experience at the Hong Kong Financial Services Business Continuity Management Forum, an industry-led forum for professionals in business continuity areas of financial institutions. 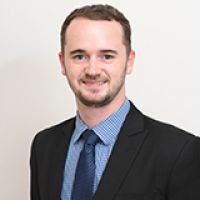 “During my placement, I worked on the development and execution of the first whole-industry crisis simulation exercise for financial services companies in Hong Kong, which achieved participation by 600 senior professionals from 25 major financial institutions,” says Lucian who was the top graduate in the Bachelor of Business in Finance and International Business. His advice for other students is to get involved in all the opportunities AUT offers. “Beyond just enhancing your CV and marketability to employers, these opportunities could give you the chance to study or work overseas, explore different career options, and generally learn more about yourself and your ambitions. After completing his internship in New York, Lucian is now working at Westpac Singapore.